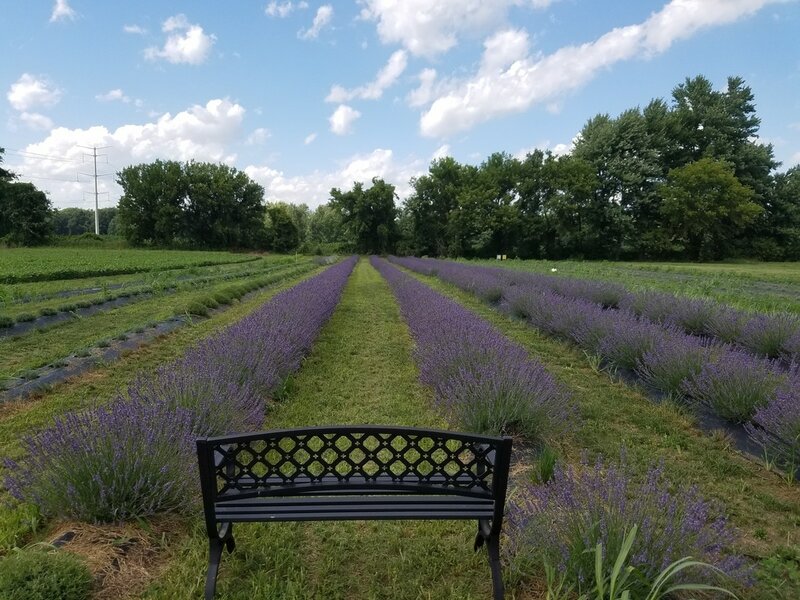 ​Founded in 2015 in Milan, Michigan, Lavender Lane's mission is to provide the residents of Southeast Michigan with organically grown lavender and quality lavender products that are grown and produced locally. In order to maintain high standards, and ensure quality + freshness, we ship dry lavender products exclusively within Michigan. We have over an acre of lavender lanes, and continue to expand our yield each year. Plant maintenance and tending is handled by me, farmer Joe, and the crafting + production of products is managed by my wife, Courtney. We make a great team and really enjoy working together! We also welcomed our first child, a sweet boy in 2016. It was never our intention to farm anything but a small garden when we moved to Milan, but our quality soil, and previously farmed land told us something bigger was in store. Like many things, the journey hasn't been without it's challenges. Just one week after planting our lavender, we were faced with a month of flooding in the fields. Thanks to careful planning and a bit of creative problem-solving, we lost less than 5% of our crop from the floods. Our passion for producing the highest quality lavender products, and our focus on providing our products at a great price, keeps our commitment and motivation high. Lavender's soothing + uplifting fragrance, beautiful aesthetics, and endless uses makes it the perfect ingredient for our bath, beauty, and home products. We care about your health and know just how important it is to be aware of what's in the products you use on yourself or your children. That's why our products are 100% natural, containing all-natural and organic-grade ingredients. We create them using everyday ingredients you know and love. We encourage you familiarize yourself with the oils, plants, and other natural ingredients that go into our products. Because what's better than looking at a label and knowing exactly what you're using?